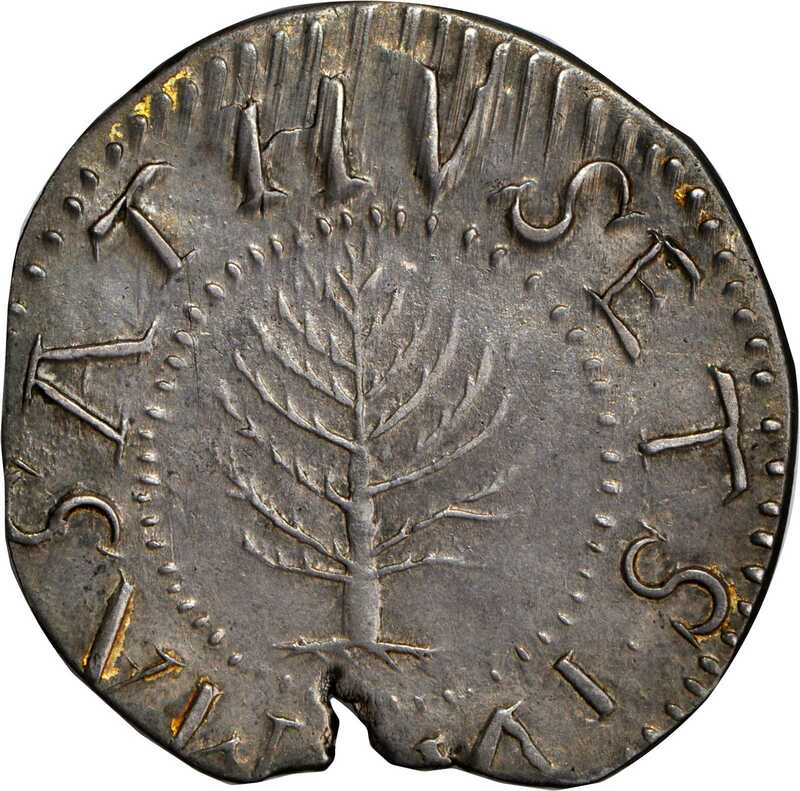 1652 Pine Tree Shilling. Large Planchet. Noe-5, Salmon 4-Di, W-720. Rarity-4. Without Pellets at Trunk, Reversed N. AU-55 (PCGS).70.6 grains. Considerable mint luster surrounds the devices of this Choice Large Planchet shilling, with the most frosty texture apparent on the reverse. The patina is otherwise a lovely lavender-grey, blanketing each side without interruption or distractions. 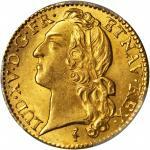 A straight planchet clip trims the left obverse border at 9 oclock, skirting the top of the first S in MASATHVSETS. A more natural flaw occupies the bottom edge, with a fissure penetrating nearly to the trunk of the tree. Nicely centered and only gently circulated, this is an exceptional representative of both the variety and the Pine Tree type. The Noe-5 dies are the same as Noe-4, now in a later state, and will eventually evolve into Noe-6. Noe-5 is famous for the retrograde or reversed Ns in the legend at IN on the obverse and ENGLAND on the reverse; two other Ns in the legends are in normal alignment.<p>PCGS Population: 4; 10 finer through MS-64.From the Cohasco Collection of Colonials formed by Sir Philip H. Snyder, circa 1963-68. Earlier ex Robert Vlack.